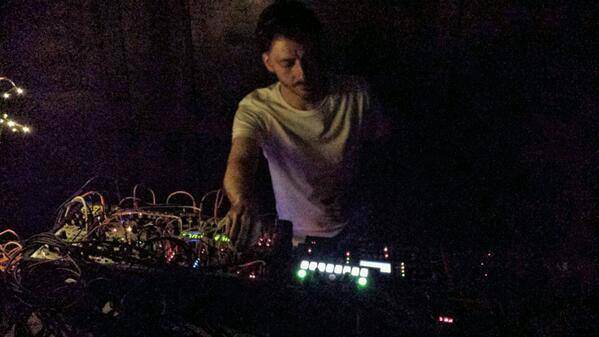 [Event Review] Undersaturated Delivers On An Exceptional Night Of Electronic Music. Electronic music in New York City is more abundant than ever. It seems that everywhere you go there are new parties and events popping up all over the five boroughs. Although most of these events are wildly enjoyable, many lack the artistic emphasis and direction that our scene desperately needs in order to remain creative and fresh. Undersaturated Presents’ focus is to promote variety and exciting new artists within the electronic music scene of New York City. This exciting new concert series kicked off last Thursday at the Highline Ballroom with an immensely talented lineup that included IDM mastermind Phutureprimitive, violin virtuoso Govinda, funk phenom Branx and one of Brooklyn’s hottest electronic cross over bands Technicolor Lenses. The night started off with Technicolor Lenses hitting the stage with energy and style, performing tracks off of their new album Psychadelegates. The four members of the Brooklyn based band truly impressed me with their unique brand of progressive hip-hop mixed with live instrumentation and complex electronic production. MC Jackson Whalan and vocalist Carmen Esteves combined flawlessly to move the crowd with their intellectually driven lyrics which promoted social awareness and conscious thought. Their performance was a surprising and refreshing blend of genres that reminded me of the soulful beats of Break Science. Next up was Lowtemp standout Branx, who brought the familiar funky vibes associated with Gramatik’s grassroots label to the stage. In anticipation of his new album Look But Don’t Touch, Branx threw down a high-energy set that definitely caught the attention of any concert goers who may have never heard of this promising up-and-comer. Slaying the crowd with sizzling tracks tracks like “Smoove Operator” and his latest glitch-hop banger “Sauce,” Branx made an imprint on the night’s festivities, proving that he is a heavy hitter worthy of the hype he’s been drumming up recently. 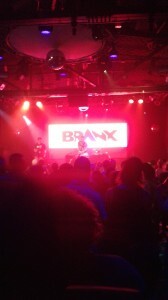 There was a smoothness and groove to Branx’s set that permeated throughout the musically discerning crowd and set the tone for night’s headliners. 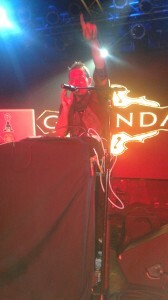 The night came to a climax when Phutureprimitve took the stage to thunderous applause. The Bay Area native unleashed a slew of bass heavy tracks that bubbled up through the dance floor and shook the Highline Ballroom’s foundation. 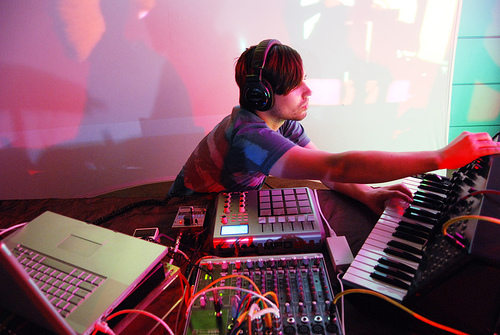 Phutureprimitive showcased his mastery of dubstep and glitch, by mixing a set full of deep vibrations and experimental overtones. Firing on all cylinders, Phutureprimitive educated the audience on the finer points of electronic production drifting between cinematic melodic builds and hefty expertly composed bass wobbles with poise. Phutureprimitve played many tracks off of his critically acclaimed release Kinetic, including crowd favorites “Kinetic,” “High Rez” and “Ripple Effect.” The night’s headliner threw down a luscious performance that kept the party going into the wee hours of the morning for a crowd that loved every drop that Undersaturated had to offer. I can’t wait for this freshly curated series to announce another stacked lineup! Stay tuned for info on the next Undersaturated Presents. 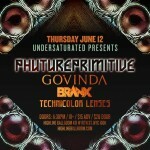 Check Out the Launch Of Undersaturated Presents, Featuring Phutureprimitive, Govinda, Branx, & Technicolor Lenses! Previous story EDM on Snapchat: EDC, Tiesto, Baggi Begovic, Valentino Khan, and… Sensible Reason!